This is a follow-up to my last cold post. If I feel the aches and pains of a cold, sore throat, runny nose, I’m in tune to take quick action. This time, however, I opened my doors to this cold. My actions said, “go ahead take hold and make me feel miserable”. I had weekend immunity from working too long, sleeping too little and not eating the right foods and I was exposed to many who did have a cold. I did catch-on, finally, and I took corrective action, before my cold could turn into a sinus infection. It is this action that you take which will dictate how long and how severe your cold will be. Build a strong immunity before you get cold symptoms. Follow Dr. Ivker’s immunity plan. Be Prepared: Have everything you need on-hand, ready to go. Know your body signals, the cold warning signs and take corrective action quickly. Be the Captain of Your Own Ship: By following these 3 steps you chose the course, how to navigate the rough seas ahead and how to sail quickly through a storm. The perfect cold storm hits when you’re ill-prepared, don’t chart a new course, and let the viral eye of the storm hit you with the full force it has to offer. We do have a choice. It’s how we choose to approach the cold signals that make all the difference in your cold severity and duration. For me, I choose the 24 hour plan, for others who aren’t proactive, a cold can last for a month as well lead to bronchitis, a sinus infection and other respiratory conditions. Which do you choose? Step 1: Build a strong Immunity. Review Immunity Tips on Silver and Gold Members site. Allimed or Alliultra. 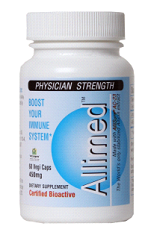 Allimed is 450 mg and Alliultra is 360 mg of pure fully stabilized allicin. Studies show it can cut the duration and severity of a cold dramatically. Allimed is also the first go-to by Dr. Ivker for treatment of a sinus infection. This herb is an antiviral, antibacterial and antifungal agent that addresses infection, viruses, bacteria and fungal causes of colds, sinusitis, and other respiratory conditions. In fact, antibiotics only target bacterial infections, which is a small percentage of sinus infections. These two products attack all 3. This natural product does not kill off beneficial G.I. bacteria, which is a negative side-effect of antibiotics. The overuse of antibiotics can actually “cause” fungal sinusitis and candidiasis known as a candida overgrowth. Sinuthyme. This Sinus Survival product ingredients have been used by physicians in Europe as an expectorant in drying mucus and phlegm production as well as a decongestant for opening the sinus passages. Many physicians may prescribe a medication called Guaifenesin, to suppress coughs and as an expectorant. You only have to do a quick search on the side effects of guaifenesin to point you into a different direction. The most common are drowsiness and stomach cramps, and there is a long list of the many contra-indications including itching, hives, rash, trouble breathing, collapsed lung and more. Sinus Survival Herbal Spray. 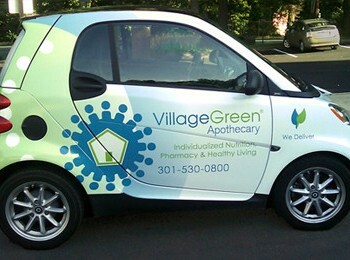 Relieves congestion, moistens sinuses. Himalayan salt reduces inflammation, aloe soothes dry passages. The most important element in addressing a cold is to know your body signals and then take immediate action. At the first sign of cold body aches, sinus congestion, sore throat, runny nose, and head congestion, that is your signal to declare a cold war. Think of it as going to battle against a cold. Follow Dr. Ivker’s Quick Fix program download. Take Allimed or Alliultra, 2 caps, 3x a day for 3 days, or up to 10 days with a sinus infection. In the first 24 hours take 2,000mg every 2 hours (up to 15,000mg in the first day). Then take 3,500mg a day for the next 3 to 5 days. Take vitamin A(Beta Carotene), it kills viruses. Take 25,000 IU 3x day for up to 5 days. Take Echinacea, 1 dropper full, 3x a day, for up to 5 days. (do not take if you’re pregnant, or have an autoimmune disease like lupus, MS or HIV. Gargle with Salt Water 3x a day. Use Sinus Survival Spray 3x to 5x a day or as often as needed for congestion. Use Sinupulse 2x to 3x a day. Take warm liquids: hot tea with honey and lemon; chicken noodle soup and other soups. Steam inhaler, hot bath or steam shower. Use Sinus Survival Eucalytus in inhaler or steam shower. Also use a warm mist humidifier when sleeping. Eliminate dairy products and sugar and eat lighter foods; eat less protein and use generous amounts of garlic, ginger, and onions. Get more rest, 8 to 9 hours and no less than 7 hours. 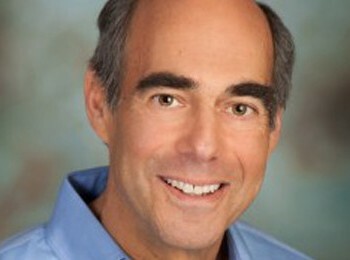 Download the full Dr. Ivker Quick Fix document on your Free Silver or Premium Gold Membership. Here’s to your quick cold turn-around!